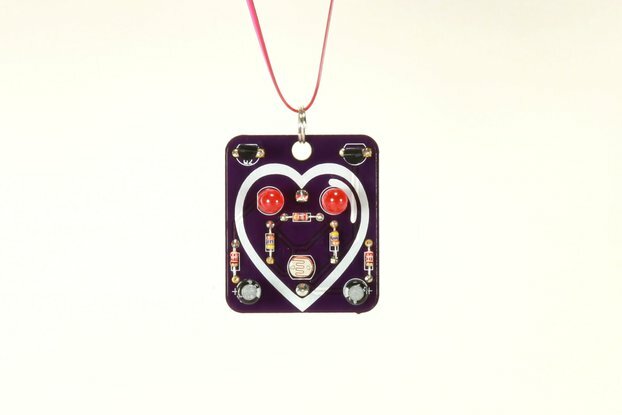 The Acorn Blinky-Board kit is a dark-activated kit that blinks two LEDs. 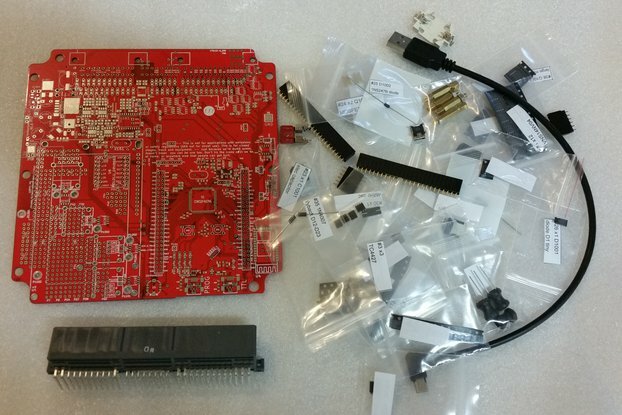 It's a great kit for learning and teaching soldering skills. The Blinky-Board is a fun wearable kit that will blink two LEDs back and forth when the lights dim. The Blinky-Board kit has been designed with the beginner in mind and is very robust and easy to assemble and solder. The kit contains 17 pieces, including the CR2032 battery, to give you over 100 hours of continuous blinking! 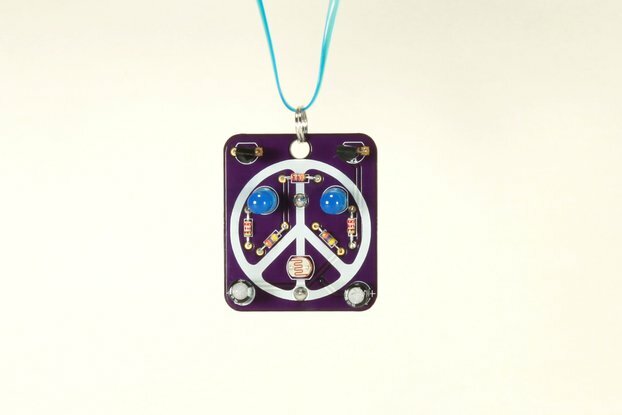 There are 5 different Blinky-Board kit designs to choose from: Peace Sign, Heart, Acorn, Turtle and a Robot, of course, because who doesn’t like Robots! Following the detailed instructions, the Blinky-Board kit takes about 45 minutes to an hour to complete. 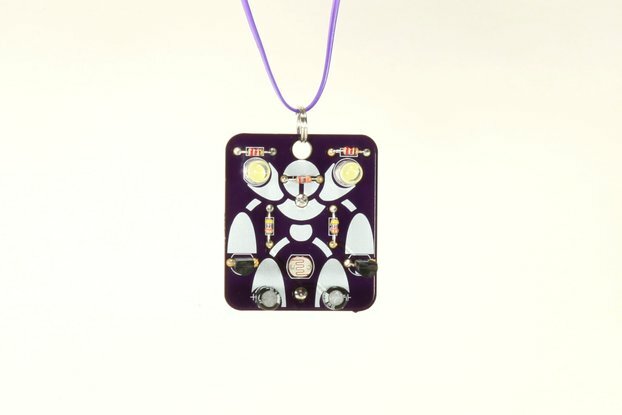 I originally designed the Blinky-Board kits for a series soldering-skills workshops that I taught at the 2017 Live Oak Music Festival in California. The festival is an annual three-day event to help raise funds for KCBX public radio station based out of San Luis Obispo, CA and is a family friendly environment with a dedicated craft area for kids and adults alike. It was really awesome to see all the Blinky-Board makers walking around at night wearing their Blinky-Boards! The Blinky-Board is based on a simple two-transistor astable multivibrator circuit, also known as a relaxation oscillator, modeled after the first relaxation oscillator invented by French engineers Henri Abraham and Eugene Bloch in 1919. The Abraham-Bloch relaxation oscillator was originally built with triode vacuum tubes. That’s right, vacuum tubes! 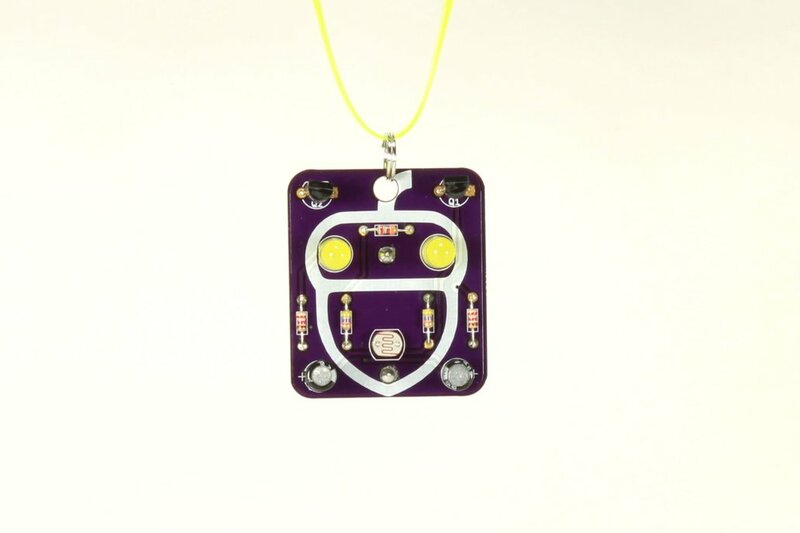 What makes the Blinky-Board circuit special from the original circuit is the addition of two LEDs and a CdS LDR (cadmium sulphide light depended resistor) sensor that turns the circuit on when the lights dim, plus the cool graphics design, and it’s wearable! Enthusiasm and a Big Smile! Greetings, rate is good for up to 4 Blinky-Boards. 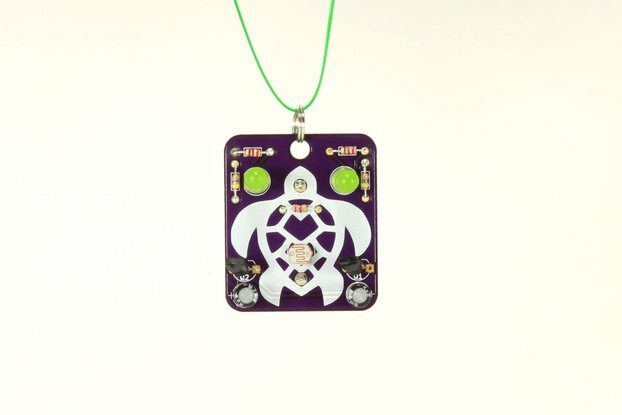 Mix and match, shipping will be combined if you buy any of the other style Blinky-Boards! You can always contact me if you have any questions. Tracking is NOT included, I just put $3.50 in postage on the package and drop it in the mail box :) Thank you!